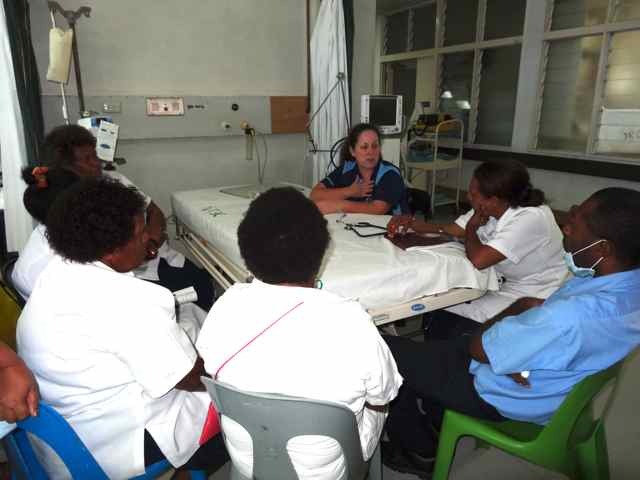 On our team we have a specific group that look after the general ICU for the duration of our stay in PNG. With so many patients receiving cardiac surgery, the ICU fills up very quickly. 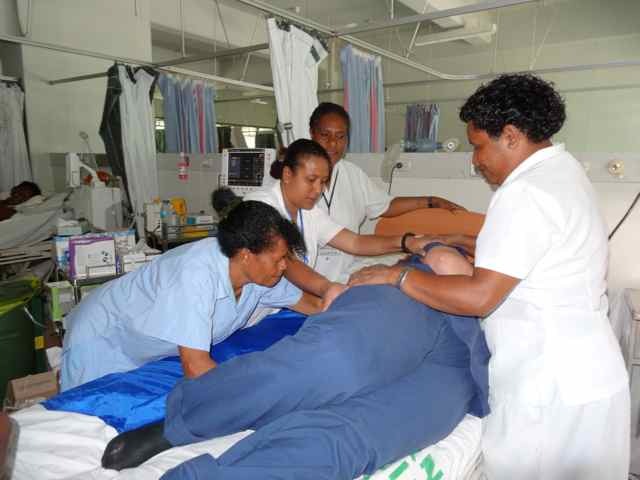 So what happens if there is an emergency in PNG, and someone needs ICU facilities? The General ICU is the answer. 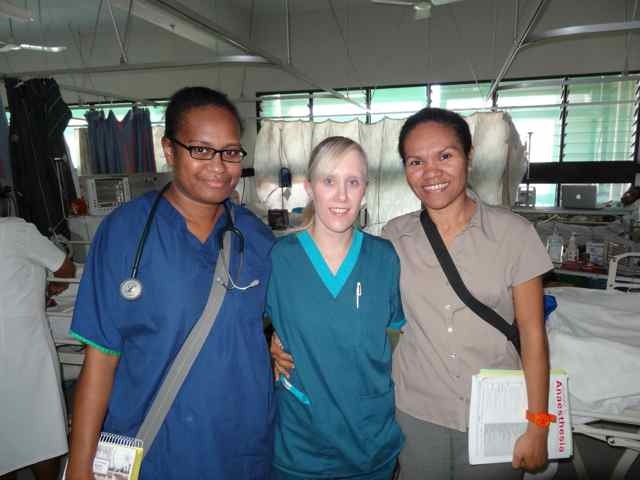 The General ICU is staffed with local nurses but complimented with volunteers from OHI. The goals is support the needs of the hospital, and support the local team. 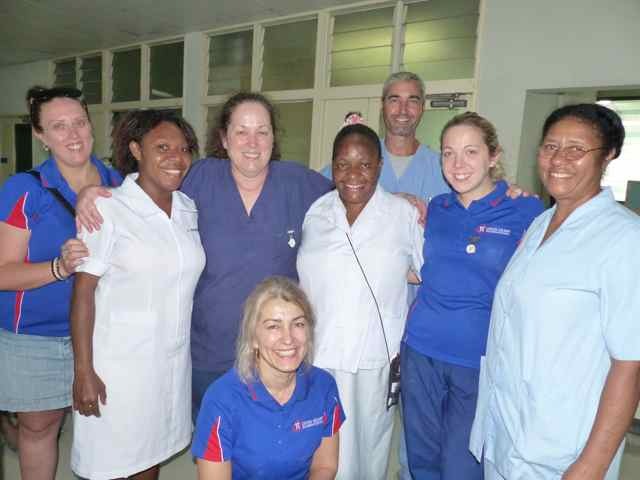 Our team in the general ICU comprises of our intensivist George and 10 ICU nurses Laura, Vicki, Wendy, Katie, Nada, Nihaha, Tony, Leesa, Melanie and Pip. The general ICU is a very different place to the cardiac ICU. 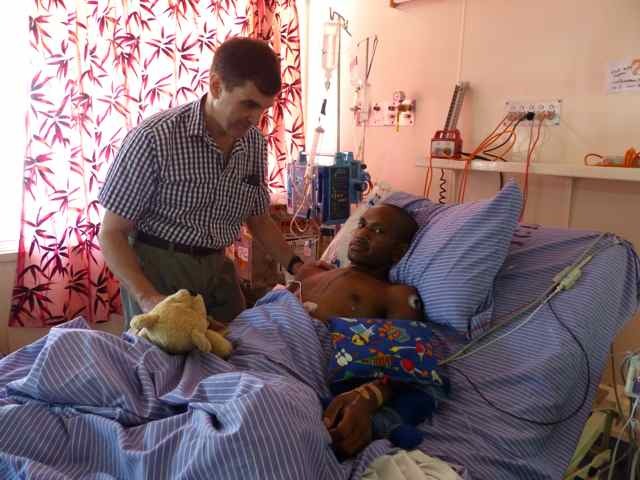 Whilst the cardiac ICU only sees our patients the general deals with very diverse patients. They have seen everything from snakebites, tuberculosis and head traumas. The other role for our general ICU team is to educate the local staff. They ran sessions on manual handling to decrease work related injuries for staff, ICU nursing specifics and patient hygiene care.We are pleased to be assisting, and this is an important project for the future. Vicki, one of our general ICU nurses keeps coming back year after year because of the challenge that the ICU brings, she loves volunteering as a whole. Initially she did it to experience something new. This experience really makes you realize that we are very lucky in Australia, in terms of equipment, diagnostic tests that are available and well trained staff. Everyone is so happy for assistance here, you feel appreciated.